I received a copy of Chef Ryan’s cookbook for review and all opinions are entirely my own. If you like easy, quick, affordable, and crowd-pleasing dishes (I do!) 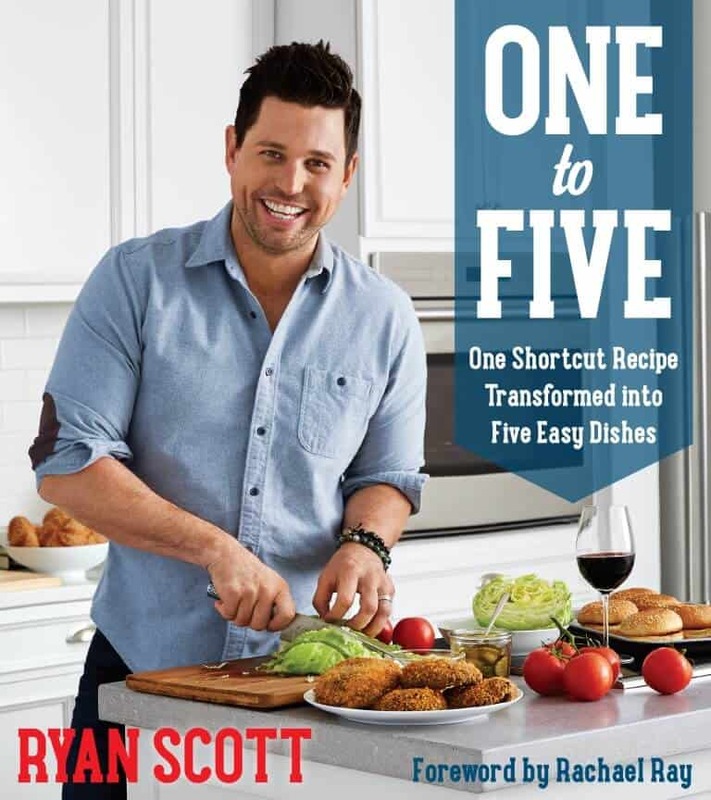 then you should check out this new cookbook from Chef Ryan Scott which has been endorsed by celebrated chefs and TV personalities including Rachael Ray, Sunny Anderson and Carla Hall. 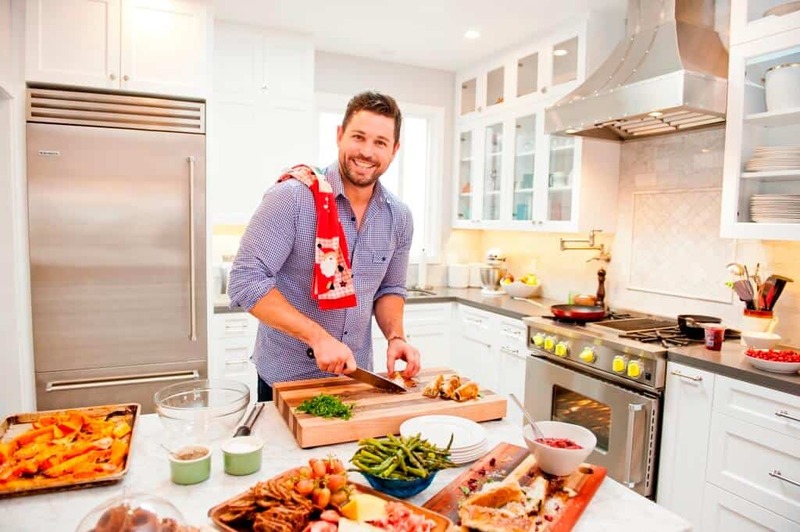 Many of you are already familiar with Emmy-winning Chef Ryan from his regular appearances on national television, including Today and Rachael Ray as well as his weekly radio show, The Ryan Scott Show. He is also a restaurateur and the owner of Market & Rye and Finn Town in San Fransisco. When it comes to cooking at home, if I can’t prep it, cook it, and sit down to eat it in an hour or less, I don’t want to do it. It’s just that simple. With more than 100 recipes, this cookbook is about getting delicious meals on the table with enough time left to sit down together with your loved ones to enjoy them. “One to Five” revolves around a really cool concept: A short-cut recipe that’s transformed into five others. All of them easy and all of them drawing from the same 20 ingredients, almost half of which are vegetables. With these short-cut recipes, Chef Ryan compromises neither health nor flavor. Food for me has always been about family, friends and memories. Once you are gathered around the table to share a meal, everything else fades away: the day’s worries, work stress, tomorrow’s to-do list. All of these concerns take a backseat to living in the moment, connecting with family and friends who are passing a delicious dish around the table. That summarizes my whole approach to cooking at home. Keep it simple, get to the table, and enjoy your meal. With 20 years of cooking experience to his name, Chef Ryan’s cookbook includes recipes that he personally loves to prepare and eat. In “One to Five” he lists all of his favorite staple ingredients to keep stocked in your fridge, freezer and pantry that will help you economize while simultaneously expanding the diversity of your everyday meals as well as streamline your cooking process. That’s followed by his list of essential kitchen tools. Then he gets to work taking one ingredient after the other and creating “master recipes” with them from which you can create five additional recipes. The philosophy behind “One to Five” is so easy you will want to kiss me: Name a simple ingredient, and I’ll give you a quick way to prepare it that can be transformed into five great dishes to serve throughout the week….Think of me as your best cooking friend. For example, he teaches you how to make fool-proof hard-boiled eggs and then how to create five tasty dishes with them. Do you have extra broccoli on hand? Perfect, because Chef Ryan will show you how to prepare steamed-and-shocked broccoli which you can then use to prepare five easy dishes, including Broccoli-almond Pesto, Broccamole and Broc-o-tots. Sound fun? It is! As a cook and foodie myself, and as someone who’s getting ready to remodel her historic 104 year old kitchen next year, what also caught my attention is Chef Ryan’s new BlueStar kitchen. He redesigned his home kitchen in San Fransisco to fit his vision of easy home entertaining and simple recipes, and it was also in this kitchen that he developed and tested the recipes for his cookbook. Check it out in the photo below – it’s decked out with BlueStar appliances and everything from his BlueStar range, hood and fridge is just stunning! And look at the cool knobs on his range. BlueStar® offers 750 different colors, bringing a whole new new meaning to the word customization. Having the right equipment is essential to getting restaurant quality results at home… when people come to my house for dinner, they expect restaurant quality food….so I had to figure out how to deliver! Okay, can I just have your kitchen, Chef Ryan? We can just lift it up via helicopter and lower it right down here – a little lower…now to the left…yep, right there. Perfect. You can see some videos of Chef Ryan preparing select recipes from his cookbook in his kitchen via BlueStar®’s exclusive instructional videos. 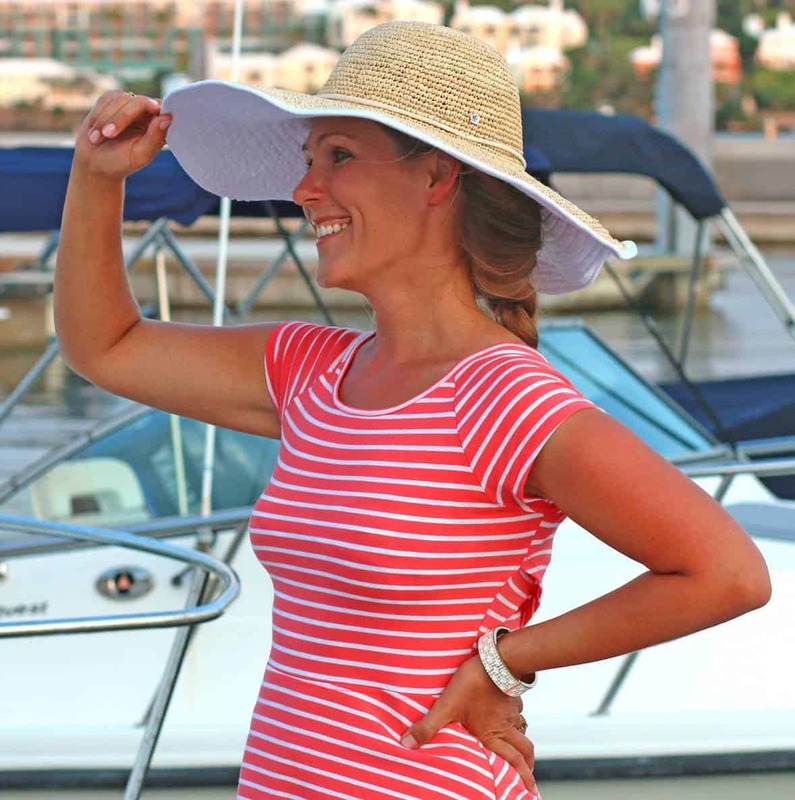 To enter simply leave a comment and you’ll be entered to win. This giveaway ends November 30th. One winner will be chosen and notified via email. The winner has 48 hours to respond or another winner will be chosen. This giveaway is open to U.S. residents only. 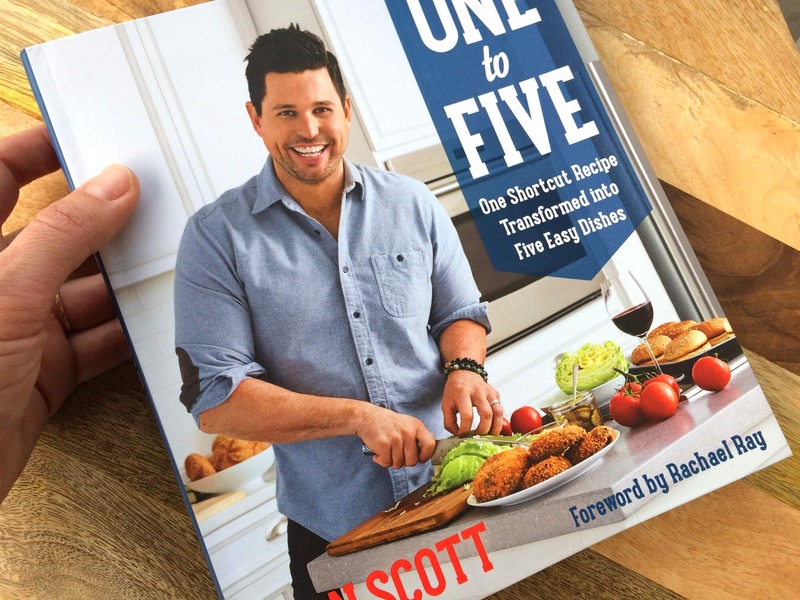 Ryan Scott’s “One to Five” cookbook can be purchased at Barnes & Noble and on Amazon. Even passionate carnivores will fall in love with these! Preheat the oven to 375° F. Heat 1/2 inch of the oil in a medium saucepan over medium until splattering. (If a few panko crumbs dropped in the oil turn golden quickly, you’re ready to fry.) Fry the mushrooms, flipping them frequently and keeping a close eye on them, until they turn golden and the cheese starts to melt, 4 to 5 minutes. Transfer to an aluminum foil-lined baking sheet, and bake until the cheese is fully melted, about 5 minutes. Transfer to a paper towel-lined plate, and season with 1/2 teaspoon of the salt 1/4 teaspoon of the pepper. 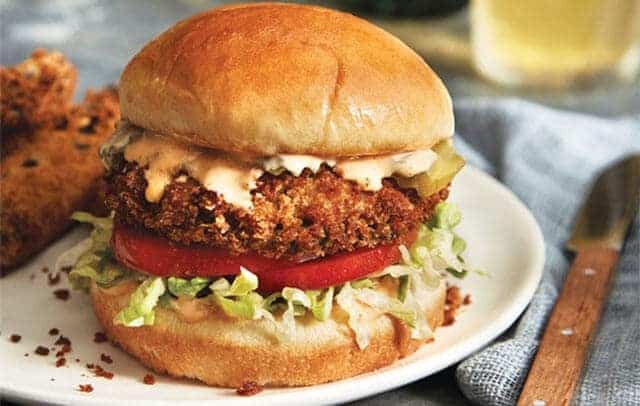 Slather the top and bottom halves of each bun with 1 tablespoon Thousand Island Dressing. Layer each bottom half with the pickles, lettuce, and 2 tomato slices. Sprinkle with the remaining 1/4 teaspoon salt and 1/8 teaspoon pepper. Top with the fried mushrooms and the bun top. These burgers can be a little messy. After stuffing the burgers with the mozzarella, chill them for 30 minutes to let them set up. « Salmon with Cranberry Ginger Mustard Sauce + Sous Vide & Slow Cooker Giveaway! Drooling over these burgers right now and this sounds like a great cookbook to add to my collection! I can’t wait to check out his book, and I agree that kitchen is spectacular! Oh my goodness, I absolutely love mushrooms so those look divine! Cookbook seems so awesome! WHOA! This burger! Looks and sounds so amazing! I’ll keep my eye out for the cookbook! I live under a rock because I’ve never heard of him but this book looks great and that kitchen — drool! I LOVE those mushrooms AND that burger..YUM!!! I appreciate the idea of morhphing one good recipes into five others. What a great concept. I LOVE this concept! Clearly, I need this cookbook! I love finding out about new chefs and cookbooks and this burger looks fantastic! Those burgers look incredible, and that kitchen is to die for!! Those burgers are completely drool worthy! Looks like an awesome cookbook, count me in for sure! I definitely need to check that book out! Sounds awesome. Can’t wait to try this recipe, it looks delicious and so does the cookbook!! Oooh, I’m with you all the way on that kitchen…a wok station?? I WANT! Love the concept of this cookbook too, thanks for sharing! Ha! I don’t blame him. I don’t want cooking to take forever either! Oh man that kitchen is gorgeous! And also these burgers?! Holy moly! Want! 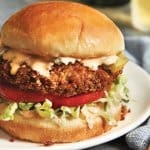 These burgers look crazy delicious! I can’t wait to get my hands on this cookbook! I love the idea of multiple ways to use an ingredient. This is a good cookbook for someone looking to broaden their regular routine. You have some GREAT recipes. I am always up for another cookbook, I love recipes and to try them out. These portobello burgers look absolutely amazing! I definitely need to check his cookbook out! It looks amazing! OMG! Those burgers look amazing! Haven’t heard of him, but he sounds interesting, as does that burger! I love anything and everything that has mushrooms in it! This cookbook is fantastic! That burger looks amazing, and I love the concept behind this! This looks like a delicious burger! And I love the time-saving concept of the cookbook! The words crispy and mushrooms don’t normally go together. I love the sound of this recipe. I’ll have to check out this cookbook because it looks like a winner, and so does his kitchen! Oh goodness these look and sound amazing!!! Oh man! Looking around for dinner recipes, and I think this may just be the one! Love a good portobello burger though I have never experimented with making them at home, so this will be a first! Thanks for posting Kimberly! Cheers! Definitely need to to own this cookbook! My husband and I just made these portobello burgers. How convenient that he was just about to leave the grocery store that is 5 minutes away when I received this email. Well, these were incredibly fast to make and smelled like heaven when they were cooking. We are still eating but, I wanted to tell you that these are AMAZING. A huge thank you to you Kimberly for posting the recipe!! I have retired from the military. I have never had to learn to cook. I’ve tried and I’m very bad at it. This sounds like it would be a great place to start. I have to admit that I’m a little intimidated by the kitchen. Thanks. yo receive this cookbook. my family would love to eat these burgers. Those burgers look so delicious! Can only imagine all the other fabulous recipes in that stunning cookbook. Would enjoy adding it to my collection. I would love to own this cookbook! Love your blog as well! The smiling, handsome young Chef Ryan can share my kitchen any day – the recipes would be a delicious bonus too!! I am a widow and it is refreshing to find a recipe that sounds really good and I can make it for just one! I would love to have that kitchen with all that counter space. The photos caught my eye, but then I saw that you had a giveaway to offer. Eeek! Our son hates meat (I think it’s a texture thing). It would be so nice for him and healthy for us all to have a few more vegetarian recipes. What other recipes have you enjoyed from this book? Please enter us in your drawing. I would love to try some of these recipes. 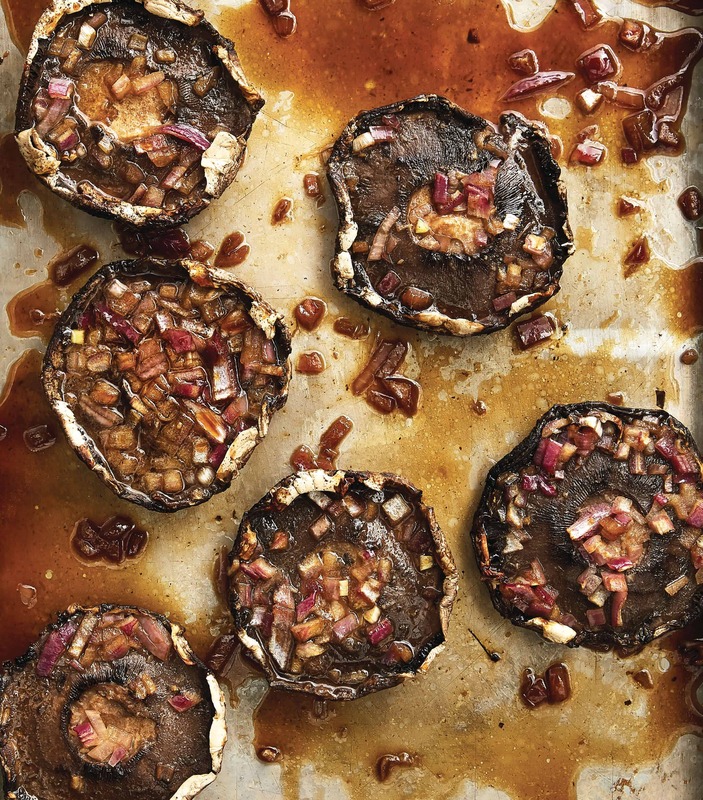 Simple enough for the everyday cook.We love Mushrooms so we tried this recipe last night simple easy & oh so yummy !! I love portabellas. It’s nice to have a new recipe for them. Can’t wait to see some of those 1 to 5 recipes. I’d eat that in a New York minute! Sounds awesome. Yumbly Yumbalicious!!! Nothing more needs to be said! When I read your recipes the tastes you present come through like I was right beside you in the kitchen and how great that would be……….but alas I will be delighted to share your love of cooking by having your cookbook!! This is so timely as my son has recently ben diagnosed as “on the cusp of Kidney Disease.” As a disabled veteran he has had a struggle & now this addition. Since there is a restriction of kidney friendly foods this cookbook of Chef Ryan’s would be an immense help for us in the kitchen. Kimberly, I cannot tell you how valuable your web site is in helping me, an in home cook, in the kitchen with so many recipes & suggestions at a moment’s notice. I absolutely love the convenience. Thank You ever so much. Not one comment on the 2642mg/110% of sodium? This burger needs some work. Hi Rick, sorry for the confusion, those totals are for the entire recipe, not per serving. I just updated it to reflect the nutrition facts per burger. That immediate reply and correction is a big indicator of the quality of this site. Thanks!